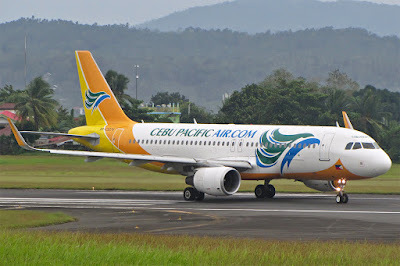 Aviation Updates Philippines - Gokongwei-led low-cost carrier Cebu Pacific Air is axing its Cebu-Taipei route in the second quarter of 2018. CEBU PACIFIC AXES CEBU-TAIPEI. The budget airline is dropping its Cebu-Taipei services on April 7, 2018. Photo by Dirk Salcedo - PPSG/AUP. Cebu Pacific will be operating its last flight on this sector on April 7, 2018 after the airline closed bookings for this route, according to aviation news website AirlineRoute.net. The Cebu-Taipei route is currently being flown twice-a-week using an Airbus A320-200 aircraft. Flight 5J300 to Taipei departs every Tuesdays and Saturdays, while flight 5J301 to Cebu departs every Wednesdays and Sundays. The service operated originally every Tuesdays, Thursdays, and Saturdays; however, the flight scheduled on Thursdays was dropped in an effort to maintain viability of the route. Direct flights between Cebu and Taipei were launched on December 17, 2015 together with Manila-Fukuoka and Davao-Singapore flights. The low-cost carrier is in direct competition with Taiwan-based EVA Air offering seven weekly flights, and budget airline Philippines AirAsia offering three weekly flights.